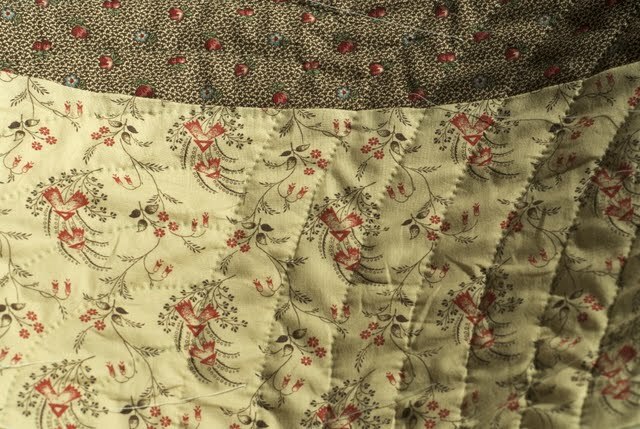 I've been wanting to quilt a quilt using the Baptist Fan pattern - I've always loved it as an overall pattern, and on this quilt I think it's just right. After consulting Quilting With Style by Gwen Marston & Joe cunningham, from my library, I made my own fan maker from some cardboard, grabbed a pencil, and I was good to go! Here you can see the bit of cardboard I cut, with holes 1 " apart. The holes are just big enough for my pencil to fit through so I can draw the lines. I use two pencils, one lead, the other green so I can see better in the darker bits of fabric. 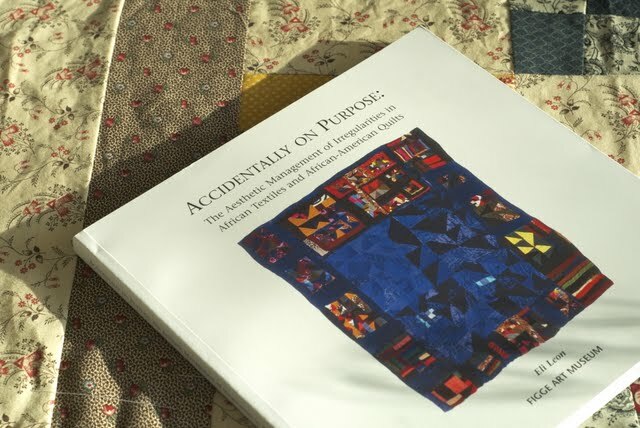 Accidentally on Purpose by Eli Leon an inspirational book filled with the kinds of quilts that inspire me with their color and form. If you love liberated quilts and their history like I do, I think you'll enjoy this book! 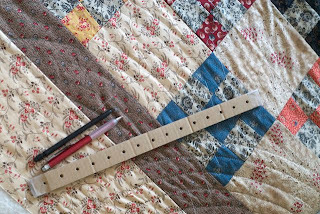 I canot even imagine how you can do this... hand quilting ! I am realy impresed and also your quilt looks very interesting..
What a wonderfull job that handquilting of yours. Love to see the quilt when it is finished. Dit ziet er heel erg goed uit joh! Het zal vast mooi staan in huis. Heidi, your quilting is great and your personally made tool is ingenious!!! Okay, I see how you marked the fans. Thanks and now I know how to mark my own tiny quilt!